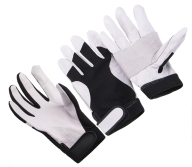 Premium deerskin palm, anti vibration gel, reinforced thumb and fingertips, black spandex back, velcro closure. 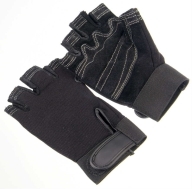 Black deerskin, black spandex back, anti-vibration gel palm, velcro strap. 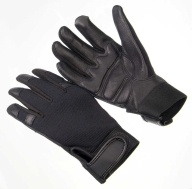 Black deerskin, black spandex back, velcro closure. 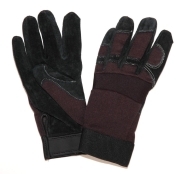 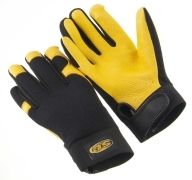 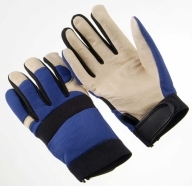 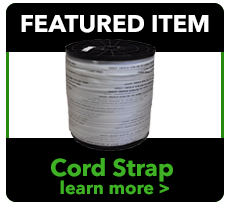 Premium goatskin, black spandex back, anti-vibration gel palm, Velcro closure, fingerless. 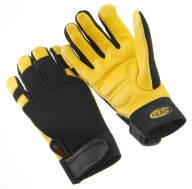 Premium grain goatskin, black spandex back, velcro strap. 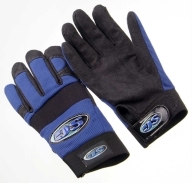 Black split goatskin, black spandex back, velcro closure. 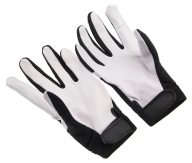 Premium split goatskin, double palm, black spandex back. 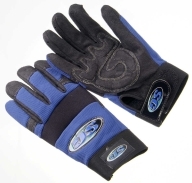 Premium grain pigskin, blue spandex back, velcro strap. Copyright © Frank Winne & Son, Inc.